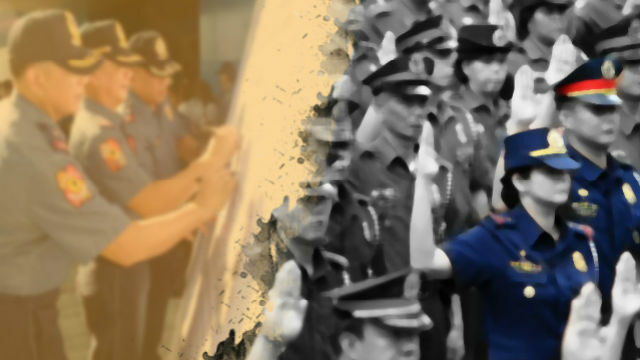 LA TRINIDAD, Benguet – The police officer who foiled a robbery attempt in this capital town was awarded for his heroism and bravery. Police Regional Office – Cordillera Regional Director Police Chief Superintendent Rolando Nana awarded Senior Police Officer 2 Noren Bandao with the “Medalya ng Sugatang Magiting” or the Wounded Personnel Medal on Tuesday while confined at the Pines City Hospita in Baguio Cityl. Bandao of Windy Hill, Upper Buyagan in La Trinidad and assigned at the Atok Municipal Police Station, was cited for his courageous act and bravery, risking his own life despite being off duty. Police reports show that Bandao responded to a call for police assistance by his neighbor whose bag was being taken away with the use of a bamboo stick inserted through the window early morning of July 14. Bandao immediately responded, and while he was about to arrest the suspect, he was fired upon on the face causing him to feel dizzy. However, he was able to return fire before totally losing consciousness. Bandao was initially brought to Benguet General Hospital by concerned citizens, and was later transferred to PCH for further treatment. He received the medal in the hospital on Tuesday while waiting for his operation to remove the bullet slug from his jaw. The suspect was identified as Jonathan Mayangao Cabradilla, a resident of Irisan, Baguio City, and leader of Cabradilla Robbery Group, a notorious crime group operating nationwide. His remains was brought to his hometown in Bauko, Mountain Province. The suspect was previously arrested in Cotabato for robbery with force upon things, and in Bambang, Nueva Vizcaya and La Trinidad Municipal Police Station for Robbery. Further investigation revealed that suspect had been using fictitious names as Jemark Isong Lipangen “aka” Jomar Pagang Mayangao. Nana also awarded cash incentive to Bandao and assured that PNP will take care of the hospital bills. Benguet Police Provincial Office PSSupt. Lyndon Mencio also committed to provide security detail to ensure safety of Bandao and his family given the suspect’s background.